The Z4M intake follows on from our E46 M3 system as a result of extensive data logging, dyno testing and design optimisation. Our aim was to develop an intake system for the S54 engine which worked with the stock ECU map and MAF sensor and produced a genuine improvement in the driving experience. Below is a dyno graph showing the comparison between the Eventuri and the stock airbox on a standard Z4M. As you can see, power and torque are increased through a large portion of the rpm range not just at the peak. On this particular Z4M the Eventuri intake made approximately 11hp but we have seen up to 15hp on other Z4M vehicles. This translates on the road to increased part throttle and full throttle response with the car pulling much more eagerly to the redline. The testing was done on the same day back-to-back and temperatures were monitored to ensure consistency. Although the Eventuri system does not require a remap – we have seen further gains when the Z4M is subsequently remapped. Made from 100% prepreg carbon fibre of the highest quality, the workmanship on the housing is second to none. 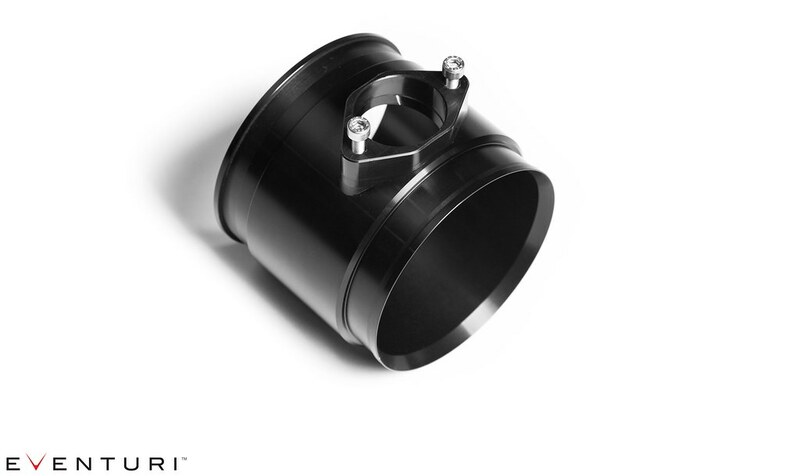 This encapsulates the filter and is mated to an anodised aluminum inlet cowl to ensure a smooth inlet flow path. The filter itself is a deep pleated, high flow double cone configuration which is dry to avoid damaging the MAF sensor. Finally the assembly is then mated to an aluminium heat shield which effectively shrouds the intake from engine bay heat and captures the ambient air being diverted from the scoop. We have also incorporated a clip to secure the coolant hose. 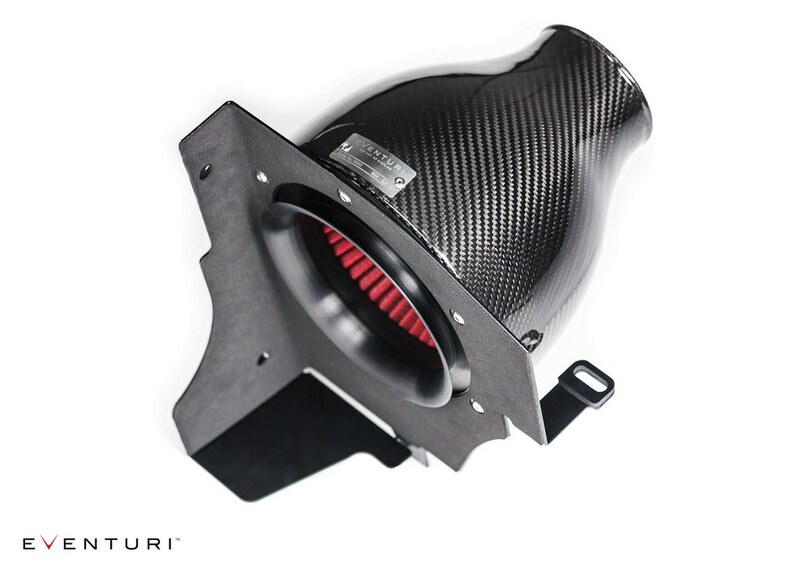 Laser Cut from Aluminium and then powder coated - the Z4M air scoop directs ambient air directly into the filter opening and effectively keeps IAT's down. Unlike other aftermarket scoops - there is no drilling required to install. This scoop simply clicks into place using the factory hole locations and the supplied push rivets. The heat shield is laser cut from aluminium and then powder coated. 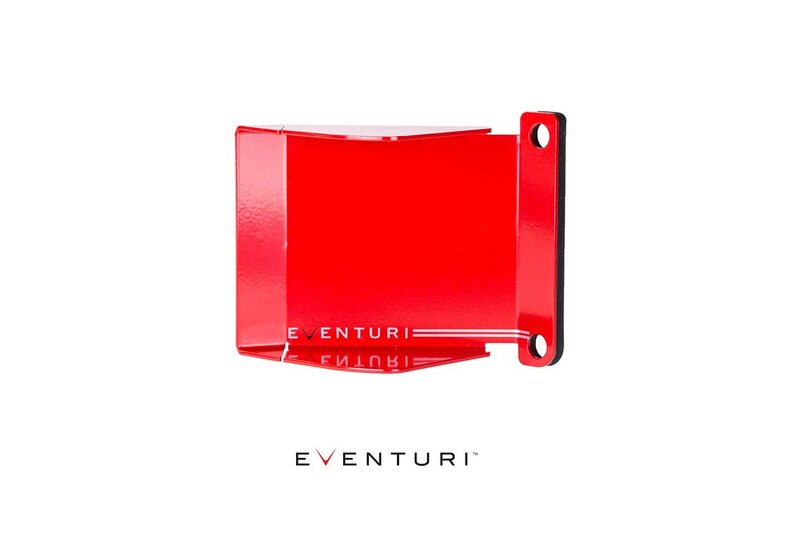 We use neoprene to insulate the shield for optimum function in keeping inlet air temperatures as low as possible. Finally we have incorporated a clip at the top of the shield to secure the coolant hose. 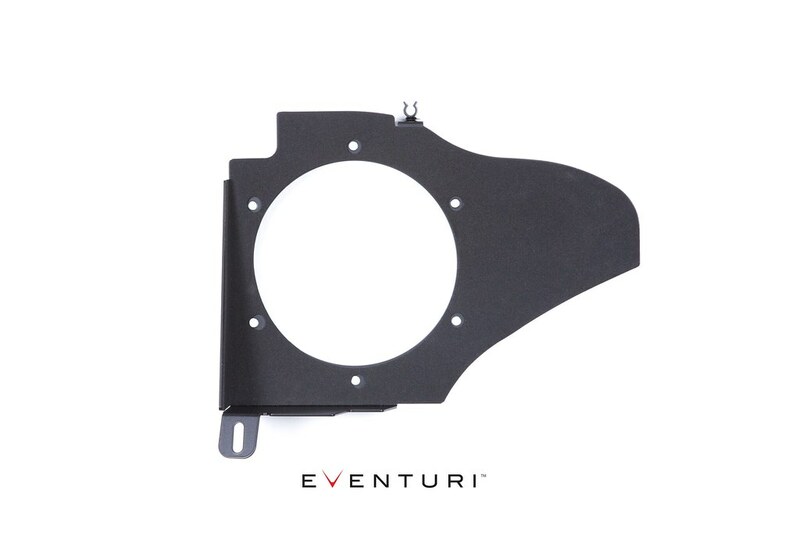 Sound samples before and after the Eventuri Intake on a standard S54 Engine.